This week on Spellburn we continue our basic survey of characters classes with the thief class. Not the rogue, not the reprovisioner, not the specialist… the thief! 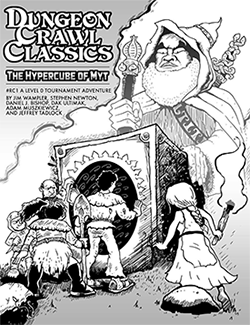 And as you might expect, in Dungeon Crawl Classics RPG the thief class is everything fun you remember about classic RPG thieves turned up to an 11. For the record, Jeffrey — Meff has spellburned pretty big on both his patron bond rolls, and it hasn’t meant a dang thing. Another really excellent podcast gentlemen, and congrats on gaining your first official acolyte! I am honored, gentlemen. Keep preaching the phlogiston! What happened to lumping the Halfling into the Thief review? Does the halfling get some love from you guys later on? We decided there was enough material to do 2 shows. Halfings are coming up next year. Here’s a fun thing for Spellburning during a Patron bond. For each point spent on the spellburn. Roll a d6. On a 1 result, treat it as a Corruption result. I know it’s kinda late but I don’t know if someone caught you on this. Thieves do NOT roll against a DC set by the Judge when casting from scroll. They roll on the ACTUAL spell table that goes with that spell. So starting out with a d10(d12) + INT Mod + luck. That roll is compared to the spells casting table.